Your child’s car seat should always be replaced, if you have been involved in a collision. Why, for a seat to be ‘approved’ it is crash tested once, not multiple times. There may be no visible sign of damage, but it may have been weakened. As there is no way of confirming this, don’t take an unnecessary risk. We recommend that you replace your seat. 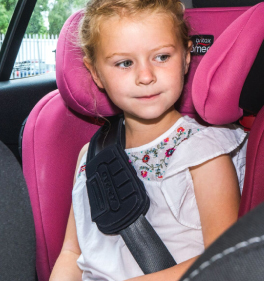 Car seat manufacturers offer different advice surrounding seat replacement. If your child is in the seat, and or, if there is any damage at all to your car, regardless of speed, replace the seat. Maxi Cosi and Kiddy both offer replacement services after you’ve been involved in a collision, and you can find more information regarding this in our Warranties section. You should always check your car insurance. Don’t assume the full value of the seat will be reimbursed. Many car insurance policies cover a fraction of the price you may have paid. Some will not pay out at all. Check with your insurer, to see what cover they offer. Axkid offer a 24 month warranty from date of purchase. Should you have any problems, please get in touch and we can contact Axkid on your behalf. BeSafe offer a 24 month warranty from date of purchase. This covers free replacement or repair if a proven ‘manufacturing fault’. Britax offer a 24 month guarantee from date of purchase for manufacturing or material defects on all products. We always keep your proof of purchase on file so this can be passed onto Britax as required. Cybex offer a 24 month warranty on all products from date of purchase. During this period, Cybex may repair or replace the product if it is found by the manufacturer to be defective in material or workmanship. Warranty does not cover the effects of normal wear and tear or damages resulting from negligence, modification, improper installation, accidents, misuse or abuse of this product. The Diono Lifetime Warranty is available on the Radian 5 as a complimentary extension to the basic 1 year warranty. This covers the defined life of the seat which is 10 years. It covers manufacturing defects for the life of the seat, up to a maximum of 10 years. 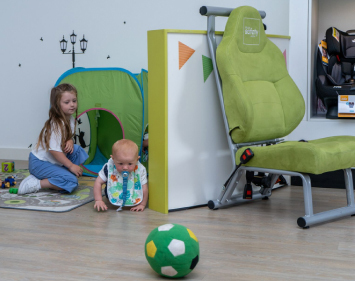 To obtain a Lifetime Warranty, the car seat must have been purchased from an authorised Diono retailer and registration is required within 60 days of purchase or receipt as a gift. gb offer a 36 month warranty from date of purchase. The warranty covers all manufacturing and material defects, existing at the date of purchase or appearing within a term of three years from the date of purchase from the retailer who initially sold the product to a consumer. This warranty does not cover any damages which result from misuse, environmental influence (water, fire, accidents etc. ), normal wear and tear or failure to comply with the instructions provided in this user manual. Joie offer a 12 month warranty from date of purchase. We always keep your proof of purchase on file so this can be passed onto Joie if necessary. Kiddy offer a 24 month warranty from date of purchase. Kiddy also offer an ‘Accident Plus Replacement Service’, whereby any Kiddy seat involved in a crash can be returned for a free replacement. 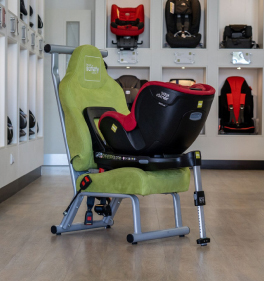 You simply return your damaged seat to our Customer Service Department with proof of purchase enclosed, accompanied with a copy of the ‘police accident report’ or insurance report which mentions the car seat in it. They will then send you a brand new Kiddy car seat of equal value. This applies for six years from the date of purchase, and is valid for up to three months after the collision takes place. They use this as a way to collect data to enable them to research the performance of their products in real life accidents, and then use it for future product development. Klippan offer a 12 month warranty from date of purchase for manufacturing or material defects. 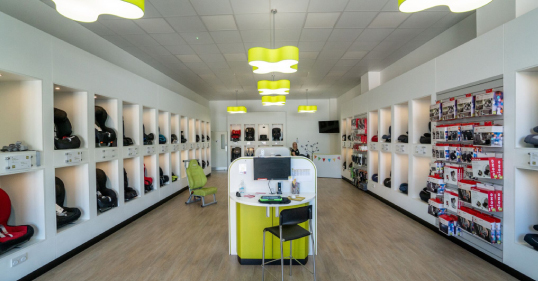 All warranty claims must be accompanied by a sales receipt, which we can provide you with if you no longer have yours. Maxi Cosi car seats come with a Lifetime Warranty. You are eligible for the warranty if you’re the first owner of the product. If it was a gift, you can still register it in your name. You’ll need to have proof of purchase. To claim your Lifetime Warranty, you need to register your product within 3 months of purchasing it. You’ll then receive a Lifetime Warranty certificate. You’ll need your purchase receipt to upload when you register. This covers all manufacturing defects in materials and workmanship when used in normal conditions and in accordance with our user manual, for the first user after registration on the website within 3 months of purchase. To request repairs or spare parts under the warranty for defects in materials and workmanship you must present your proof of purchase and your personal Lifetime Warranty certificate, which you receive after registering your product. Maxi Cosi offer a Car Seat Swap Advisory Service, for all Maxi Cosi car seats involved in an accident. 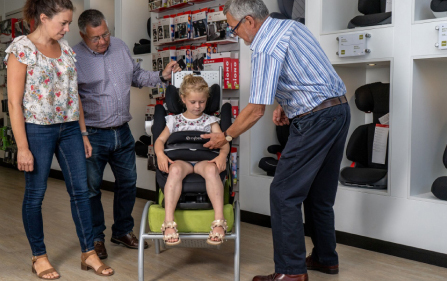 They will advise whether your car seat needs replacing and if they determine that your car seat does need to be replaced, you will be able to exchange the seat for a brand new car seat, similar to the one in the accident either via your insurance company or Maxi Cosi directly. You can contact Maxi Cosi directly for more information. Nuna offer a 24 month warranty from date of purchase. This excludes accessories. Repairs carried out by a third party.